Physiotherapy is the science that focuses on the movements of the body to restore the balance and physical strength. Physiotherapy recommends physical exercises for recovery from injuries and illnesses. If you have undergone a physiotherapy treatment, they might have suggested you some physical exercises for strength and healing. Physiotherapy recommends many exercises for the body, especially for the weak or treated body part. There are three types of exercises for strengthening different body parts – exercises for balance, strength, and range of motion. This post shares some of the best physiotherapy exercises that you can perform at home for the entire body. The balance exercises help you to restore both the static and dynamic balance in your body. The static balance is the control of your body when it is stationary and not moving. The dynamic balance is to maintain the control of the body while making movements. Here are the best physical exercises to improve stability. Find something stationery to hold on and lift one leg from the floor. Extend your arms in the front or sides but parallel to the floor. Maintain this position for at least 30 seconds and then repeat the same with the other foot. When you start making the balance on a single leg, you can perform the exercise without holding anything. Take an old pillow and place it on a mat. Now put your foot on the pillow and raise another leg with arms extended. It will be difficult than the single leg stance as the cushion is fluffy, but great to improve your single leg balance. In the beginning, try to maintain the balance for at least 20 to 30 seconds, and then extend the time with practice. Tandem walking is the way of walking in the toe to heel pattern. It means placing the heel of one foot in front of the toe of other foot while taking the steps. You can practice this by walking ten steps in the beginning. With practice, you can walk or make it more challenging by walking backward in the same pattern. The range of motions exercises are recommended to improve the movement of joints of the entire body. Your physiotherapist may recommend you doing the exercises for some specific joints or body parts. Let us check some range of motion exercises for everybody. Passive range of motion – These exercises help when the patient is not able to move a joint after recovery from an injury. Your physical therapist may hold your limb (hand, arm, leg or foot) and help you to move the affected part while your other body parts stay unmoved. The complete range of motion is performed with the help of a physical therapist. The active assistance exercises also involve taking help of the physiotherapist but only for the partial motion. The patient can move the limb partially but not in the complete range of motion. The physiotherapist helps the patient to complete the range of motion until the point of pain kicks in. The active physiotherapy exercises involve the patient to perform the movement of a joint without the help of a physical therapist. 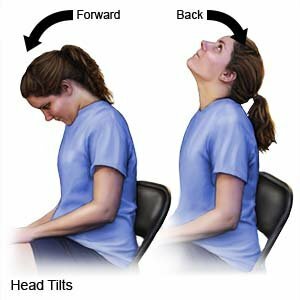 Neck Exercises – To perform the neck exercise, you tilt your head in the front and back. Tilt your neck forward to touch the chest with your chin. Then bring your head back to the point so that you can see upward towards the ceiling. To start the shoulder exercise, you should sit in a chair without arms in a straight posture with your arms at the sides. This is the starting position before you perform any movement. Stretch your arms forward and raise them over your head up to a straight vertical position. Then bring back your arms to the starting position and move them back in the same motion as much as possible. The side to side motion involves raising your arm to one side and then over your hand to attain the vertical position. Bring back your arms to the starting position, in the same way, extending toward the opposite side as much as you can. In the rotation exercise, you raise your shoulders as you want to shrug. The bring them back and move them in the circular motion in the forward and backward direction alternately. Pilates are the types of exercises to strengthen your core and improve the full body movement. Many physiotherapists in Australia recommend doing pilates to strengthen the core and enhance the movement of the entire body. If you live in Gold Coast, you can attend the pilates classes Gold Coast. Lay down on the mat with your legs straight and arms towards the sides. Fold your knees a little and extend one leg straight without moving your thighs or knees. Keeping your one leg raised upto knee height, lift your upper body extending your arms. Try to take your hands toward the feet of your raised leg. Then lower down your upper body so that your shoulders and head stay slightly above the floor. Keep your leg elevated and do 5 to 6 repetitions or up to the time you feel comfortable. Then repeat the exercise for your other leg. Lay on your back and pull the knees towards the chest. Join your hands on the back of your head for support. Extend your right leg straight with the left leg still bent towards the chest. Twist your upper body by touching your right elbow to your left knee. Then extend your left leg and keep the right leg bent toward the chest. Twist your body by moving the left elbow toward the right knee. Do alternately for both legs in a crisscross motion. Your legs should move alternatively to offer your upper and lower body a complete range of motion. These are some physiotherapy exercises to improve body movements. You can perform the exercises for the body part that needs recovery and mobility. Physical therapy exercises strengthen your muscles, joints and increase the movement and flexibility in the body.